Most surveys have a specific time frame for participation. You launch your survey and after a specific amount of time you need to close it, so that you can start to evaluate the results. So far, you had to close the survey manually. 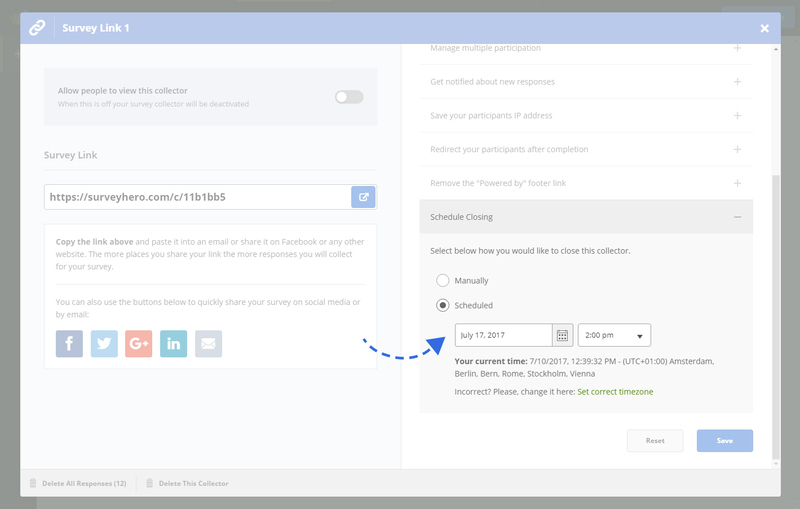 Today, we have launched the ability for you to set a date and time to schedule automatic closing of your survey. This is especially useful if your survey needs to be closed while you are not available, e.g. during the night, on weekends or while you are on holiday. This feature will help you never miss a deadline and make sure your survey is closed at the correct time. 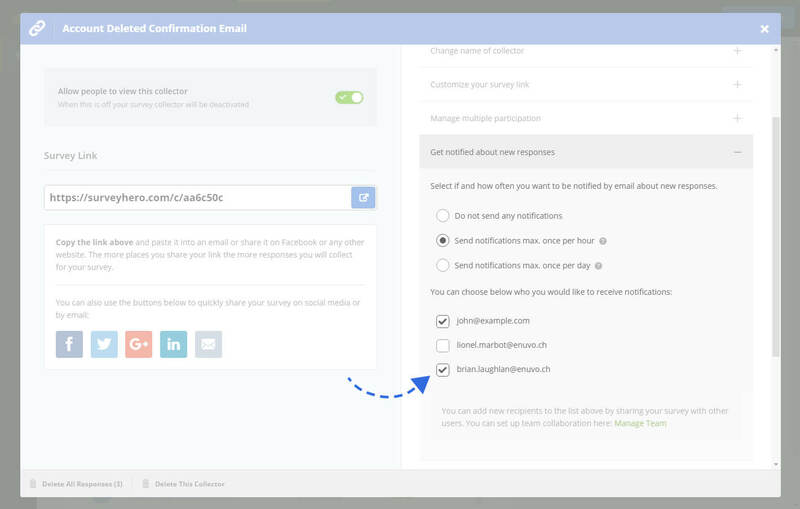 Last year we launched the ability for you to receive an email notification when your online survey collected new responses. We are happy to announce that you can now send such email notifications to other recipients too.